008 - Hue - Vietnam - 2014 - John Macs Travel & Photography. 008 - Hue - Vietnam - 2014. Still on our first full day here in Hue, after our tour of The Citadel & Imperial City. We went to the Thiên Mụ Pagoda, before a cruise trip down the Perfume River. After the cruise we went for lunch at the Sweet Olive Garden Restaurant, then off to The Tomb of Tự Đức. 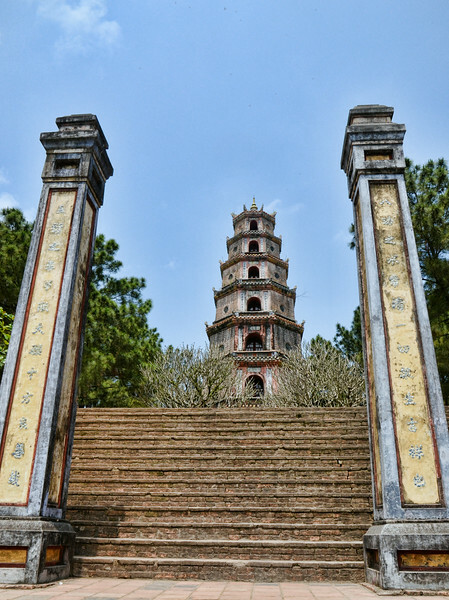 Thiên Mụ Pagoda, Thừa Thiên–Huế Province, Huế, Vietnam. - 2014.